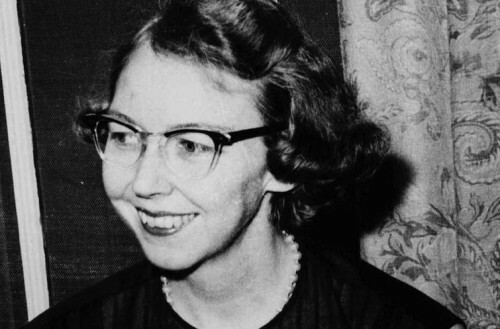 I never, until this year, made the explicit connection between John Coltrane and Flannery O’Connor. One was an introverted white woman, a southern writer who tackled the Big Questions with a mordant élan and irony that’s seldom been surpassed. In her short stories, the themes of identity, religion and salvation get interrogated by and through a series of characters that are, by turns, innocent, evil and grotesque. Above all, they are fallible: whatever their station in life, the issue that obsessed O’Connor was Grace and whether or not we could get good with God, regardless of where He placed us or what He put in our pathway. The other was a quiet but prolific black saxophonist, a man born in North Carolina who migrated to the cultural center of the musical universe, New York City, where he then participated in some of the most beloved recordings of the ’50s and ’60s. In his songs, the quest was salvation through music: initially celebrated for his famous “sheets of sound”, Coltrane continued to expand and grow, incorporating Eastern elements and extended improvisations. His live performances became legendary endurance tests, for the audience more than the performer. Coltrane was restless, but not because he was otherwise preoccupied or tortured; indeed he was the rarest of artistic breeds: focused and serene, uncomfortable only when he was unable to practice. By all accounts, his dedication to his craft remains unrivaled. As Coltrane’s masterwork, A Love Supreme, celebrates its fiftieth anniversary in 2015 (and has just been reissued, again, with never-before heard material), and I finally found the time to read O’Connor’s journal entries, collected as A Prayer Journal (first released in late 2013), the question became: how could I not have made the connection between these two icons? 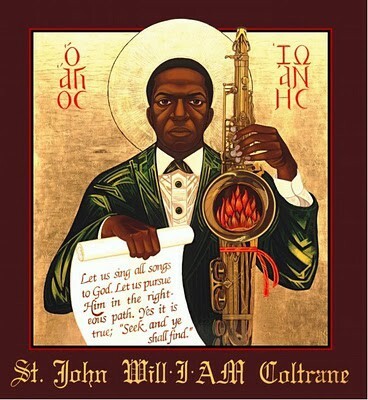 While reading (and then re-reading) A Prayer Journal, which obliged me to revisit (again) O’Connor’s selected prose, best or most easily found in Mystery and Manners, I could not stop thinking about Coltrane in general, A Love Supreme in particular. Considering them side by side, I was struck by one thing above all: these were artists who, due to circumstances as well as compulsion(s), cultivated an almost monastic approach to their art. Perhaps because illness claimed both of them entirely too soon (Coltrane died of cancer in ’67, aged 41; O’Connor of lupus in ’64, aged 39) theirs is a kinship forged in tragedy. Perhaps because they are both undisputed masters of their respective crafts who lived during roughly the same era it’s easier to associate them. But it’s their aesthetic sensibility that links them in ways few other artists of any genre can claim. One need not be intimately familiar with O’Connor’s oeuvre to appreciate the exceedingly brief but extraordinary—and revealing—meditations contained in A Prayer Journal. Of course, anyone who has read, and savored her work will find the material, written in 1946 and 1947 while she was studying at the University of Iowa’s Writer’s Workshop, at once affirming and revelatory. O’Connor’s unwavering allegiance to her craft leaves little to the imagination: she wrote, she talked about writing, she thought about writing and she wrote about writing. Allegedly, she ate and slept on occasion. “In my stories is where I live,” she said, a statement applicable on a variety of levels. And so, the people who stand to be fascinated by this distinctly uneventful life are the very people who might be enlightened by reading about it: writers. O’Connor’s monk-like commitment to her vocation could and should be a study guide for all aspiring scribblers. Never mind that dedication like hers is probably impossible to imitate today because of all the noise—electronic and digital—distracting us. There’s also the fact that her work is inimitable: the style; the substance; the entire package is pretty much unparalleled in American letters. I tend to feel uncomfortable throwing the G word around, but if any American writer of the last century could be called a genius, O’Connor is near the top of the short list. She didn’t manage to write the great American novel (though she may well have, had she been given even a few more years), but her best collected stories go toe-to-toe with any of the great white males (and females for that matter). She also happened to approach perfection on at least three occasions, with “Revelation”, “Everything That Rises Must Converge” and “A Good Man Is Hard To Find”. It’s the last of these three that most people know; like Beethoven’s Fifth and the ceiling of the Sistine Chapel, its ubiquity tends to diminish its actual import. As a remarkable point of fact, it’s even better than most people realize (and most people, if for no other reason than that they are told, recognize these things as immortal). What O’Connor manages to do, in less than twenty pages, with “A Good Man Is Hard To Find” is lay bare the essence of what Dostoyevsky and, to a lesser extent, Tolstoy grappled with in their biggest (and sometimes bloated) novels: the nature of man, the existence of God, the possibility of Grace and the symbiotic tension between violence and love. When The Misfit declares (ironically, truthfully) “It’s no real pleasure in life”, he is (O’Connor is) succinctly expressing our fundamental philosophical and literary dilemma, post-Descartes. Beyond whether God exists (Tolstoy) or why God torments us (Dostoyevsky), and right to the darkened heart of the matter: we may betray God, but God betrayed us first. As a reader and especially a writer, one can learn a great deal by studying her stories. Has any other writer so consistently applied mechanical precision with such emotional heft? Has any other author wrestled with the so-called big issues without using stick figures or preachy didactics? Take “Revelation”, for instance: O’Connor fits notions of class, the dilemmas of southern identity, religious fervor, old-school bigotry and redemption into one story. In fact, she pretty much pulls it off on a single page (and that last page not only invokes, but obliges the use of such otherwise unforgivable words as “haunting”, “chilling” and “moving”). More, the concluding image of “a vast horde of souls rumbling toward heaven” that includes the disenfranchised leading a troop of so-called respectable citizens—who of course have assumed their station by luck of the biological draw—whose “virtues were being burned away”, might achieve the impossible, serving as an allegory to satisfy both the devoted and the faithless. Consider that. This type of writing, needless to say, is inspiring but is also intimidating. My initial (and in many cases, ongoing) reaction to reading an O’Connor story is to ask, in awe, How did she do that? In her journal, she implored God to “give me the courage to stand the pain to get to the grace.” O’Connor was not granted nearly the time she needed—or deserved—to continue perfecting her craft. But we are all fortunate she had the years, not to mention the fortitude and faith, to leave behind her unique, inexhaustible bounty. Her work is like her life: full of beauty, full of pain. For those whose definition of genius is either too encompassing or excessively narrow, John Coltrane poses no problems: there isn’t anyone who knows anything about music (in general) and jazz (in particular) who would contest that he’s among the most prominent, impressive and influential artists to ever master an instrument. Furthermore, to put Coltrane and the skills he developed in their simplest perspective, it might be suggested that no one has ever done anything as well as Coltrane played the saxophone. Plus, he was an exceptionally gifted composer and bandleader and, by all accounts, he was a generous and gentle human being, as well. All of which is to say, if there is anyone worthy of celebration in our contemporary American Idol Apocalypse, Coltrane should serve as both antidote and inspiration. Coltrane’s prime years, the decade between 1957 and 1967, seem concise enough by typical human and even artistic standards. However, he recorded so much and went through so many profound changes, it’s near impossible to convey the scope of his achievements—and impact. Early on, it was apparent that Coltrane pursued his dream with an intensity bordering on obsession. “He attacked his (musical) problems,” Jimmy Heath once recalled. “He zoomed in until he solved it.” Coltrane quickly but methodically cultivated an unsurpassed proficiency, and then he kept pushing. Like Charles Mingus and Dizzy Gillespie (and many others), Coltrane initially emulated the bebop progenitor Charlie Parker and listened to western classical music, especially the work of Stravinsky. Even in his formative years, though, Coltrane was already resisting the accepted (and acceptable) limitations and straining to explore the possibilities of his instrument. It’s worth quoting, in full, these observations by drummer Rashied Ali, (from an interview with Howard Mandel), who played with Coltrane in the last years of his life. He never stopped playing. When I used to go to hear ‘Trane, he would always be playing. He would be playing in his dressing room. He would be playing before he got to me. Just like a fighter would warm up in the dressing room, he’d come out in the ring and he’d be sweating from warming up, he would do the same thing in the dressing room. He would just play and play and play. He would break a sweat in the dressing room and then when he would come out on the bandstand, he had all that — I don’t know where he got that energy from. He was relentless. He always had an instrument in his hand. He was always playing something. He was always trying to be better than he was and it seemed like, you know, how could he get better? How could he do anything better than that, than what he’s done already? And after playing all these years with all these different people…the man still had a vision that he could be better than he was and he was still practicing. Of course, Coltrane’s music was not universally embraced during the final years he was able to record and play. His solos became longer and (much) more intense, yet no matter how many listeners he alienated, it was apparent that in order to push the audience, he first had to push himself. Roscoe Mitchell, commenting on this spiritual searching, has likened Coltrane’s later music to what he witnessed in churches growing up, with people transporting into religious trances. This—the music and the explanation—is where more than a few draw the line; it’s just too out there; too much for the human ear. Coltrane contained multitudes, but his music, after 1964, was often uncontainable. Coltrane knew where he was going, however, even if he couldn’t quite define what he was looking for. His wife Alice remarked that Coltrane was following a “progression toward higher spiritual realization…and development.” That type of sentiment can, and perhaps should, make people wary, but with Coltrane it was no pose, and this was no joke. It was all over far too quickly. As is too often the case with our greatest artists, Coltrane fell ill and passed away long before his time should have come. It scarcely computes, even now, that the man making the music he recorded in early 1967 (particularly the shattering if cathartic Interstellar Space) was months from losing a battle with cancer. Where he would have headed had he lived is truly difficult to imagine. It remains more than a little startling, to consider the growth and refinement he demonstrated every few years, commencing in the mid-to-late ‘50s. Where he might have gone next is anyone’s guess, but it’s also safe to surmise that he took his instrument, and music, as far as anyone possibly could. To understand the trajectory that took Coltrane from sheets of sound to A Love Supreme, it’s instructive to consider his composition “Alabama”, recorded in 1963. Inspired by the disgraceful 16th Street Baptist Church bombing, Coltrane said of his elegy: “It represents, musically, something that I saw down there translated into music from inside me.” It is one of his enduring and devastating performances wherein Coltrane, already considered amongst jazz music’s most emotional and sensitive players, manages to articulate the grief and the rage the occasion called for. A deeply spiritual man, Coltrane conveys the immutable senselessness of violence instigated by ignorance, but also hints at the redemption of peaceful power through unified awareness. As only he could, Coltrane crafts a solo that is angry, somber, and somehow hopeful; a subdued epitaph for the innocent dead, but also a rallying cry for the not-so-innocent bystanders who needed to join the cause. The Alabama bombing was a tipping point in the civil rights movement, and Coltrane captured that moment where confusion and rage inspired an outpouring of solidarity. ALL PRAISE BE TO GOD TO WHOM ALL PRAISE IS DUE. Let us pursue Him in the righteous path. Yes it is true; “seek and ye shall find.” Only through Him can we know the most wondrous bequeathal. During the year 1957, I experienced, by the grace of God, a spiritual awakening which was to lead me to a richer, fuller, more productive life. At that time, in gratitude, I humbly asked to be given the means and privilege to make others happy through music. It might be suggested we’ve never seen, in modern art, more abundant or eloquent evidence of Art leading to God than A Love Supreme. (And, if we can collectively embrace the notion that “God is Love”, no ecclesiastical concerns need sully the discussion.) It serves as a consecration of sorts, a personal yet intensely spiritual expression: finally, Coltrane was able to filter all that intensity into a perfect chalice, never before, or after, was his vision so focused yet peaceful. The music—and message—is a force of nature the listener must let wash over them, while repeated listens will refresh and renew. O’Connor wanted to jolt you with the violent shock of recognition, and achieve some type of artistic if not spiritual consecration; Coltrane wanted to transcend the insanity altogether, altering consciousness through a profoundly moving colloquy. That he attempted this is remarkable; that he was able to achieve it remains miraculous. 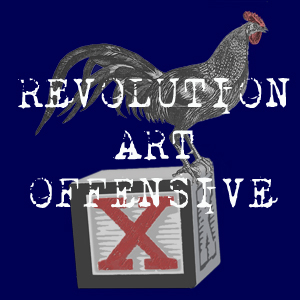 This entry was posted in Literature, Music and tagged A Good Man is Hard To Find, A Love Supreme, A Prayer Journal, cancer, Dostoyevsky, Flannery O'Connor, God, Grace, John Coltrane, Lupus, Mystery and Manners, Rashied Ali, The Saint John Coltrane Church. Bookmark the permalink. Great essay! I also had never thought to connect those two heroes of mine. Thank you. Thanks Brent! I appreciate your reading, and commenting. In my opinion, enough can never be said about either of these geniuses.